High school football practices are underway, the Vikings are in the midst of their preseason schedule and the Gophers kick off their season a week from today. It’s clear that football is back, and while we hope that everyone has an injury-free season, we know that’s not going to be the case. Bruises, sprains and fractures are pretty common in football, but injuries to skin and bones often heals over time. However, injuries to the head, neck and brain can be serious in nature, and if not treated correctly, can have lifelong consequences. Today, we’re going to take a closer look at head injuries in football, and explain how players, parents, coaches and medical staff can prevent and treat brain injuries this football season. Preventing and treating brain injuries on the football field is everyone’s job. Here’s how each party can do it. Players – Players have the most insight into whether or not something is wrong with their head. If you feel woozy, dizzy, lightheaded, confused or have more visible physical symptoms like blurred vision, difficulty walking or are vomiting, remove yourself from the field. Trying to play through the injury exposes you to potentially life-long symptoms and consequences. When being evaluated by a trainer or doctor, tell the truth. Be open about your symptoms, and don’t lie in hopes that you’ll receive medical clearance. A subsequent head injury before the first one has had time to heal is oftentimes much worse than the first. Coaches – Coaches and their staff need to be aware of the signs of concussions and traumatic brain injuries and have a realistic approach to dealing with these injuries. 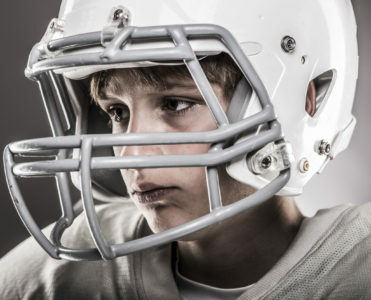 We understand that football is a physical sport and you want your kids to be tough, but there is simply no excuse for leaving a kid on the football field who has a suspected or clear head injury. Coaches have lost their jobs and players have died because of such negligence. Coaches should sit down with their staff, talk about the importance of recognizing head injuries and go through the proper protocol for assessing a player with a suspected head injury. Kids aren’t going to want to come out of a game, so you need to look out for their best interests when they won’t. Parents – Parents have a similar role as coaches, but they are often more protective of their children and care less about putting the team before their child, so they play a crucial role in spotting and treating head injuries. Parents need to be aware of the signs of a head injury. If your teen has had noticeable changes in mood, they seem tired all the time, or their temperament is different than normal, talk to them about what’s going on. It could be something completely irrelevant to the football field, or it could be an undiagnosed head injury. If you suspect that they’ve had a concussion, set up an appointment with a neurologist as soon as possible, because it can have an impact on other important aspects of their life, like their health, their school work and their social life. Trainers – Athletic trainers and medical staff know the signs of a concussion and they should always prioritize the child’s health over their participation. Trainers need to be on the same page with coaching staff in terms of “what they say goes” if they feel that a player is injured to the point where they should not be partaking in physical activity. Trainers also need to work with kids who are recovering from a head injury to ensure they pass all the necessary protocols before they are allowed to return to physical activity or contact sports. If any of the above individuals believes a concussion or serious head injury has taken place, consider having the player visit a neurospecialist like Dr. Chang. With advanced diagnostic tools in his arsenal, he can ensure that your head injury is correctly diagnosed and treated. For more information or to contact his clinic, call (651) 430-3800 or click here.